Oh my golly you guys! The Flickr group is so inspiring!! Your pages are literally blowing me away. It makes me so happy to be part of such an amazing group of journalers!! Thank you thank you! Today's prompt is all about celebrating your family. Let's do it. Journal Prompt 13: Create a simple family tree. Do this in a way that works best for you. You can write names, doodle portraits, place actual photos, whatever!! 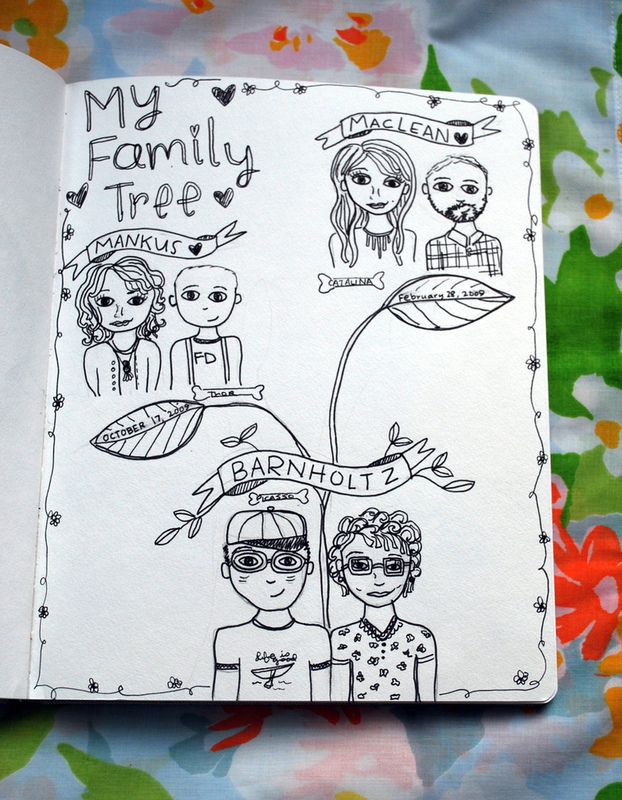 It's up to you :) Use this prompt to document your family; as small or as large as it may be!! A simple simple family tree. I love them all so much and I am super happy to document them this way. I love checking out your journal pages every day! I wish I had started my blog sooner to get involved - maybe even improve my skills! Thankyou for your lovely blog! (:Definitely a daily stop for me!